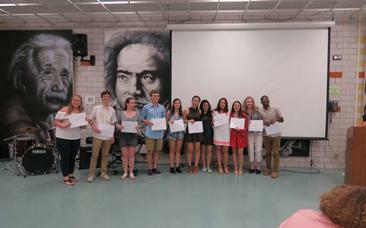 Summit Performing Arts Resource Committee (SPARC) awards scholarships to graduating seniors to recognize students who contributed significantly to the performing arts at Summit High School, primarily through their participation in theater, speech and debate, film, dance, and related performing arts mentoring. SPARC offers two different scholarships: The Mary Snieckus SPARC Scholarship and the SPARC Technical Theater Scholarship in Memory of Benjamin Robert Zukoff. 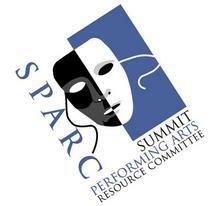 The Mary Snieckus SPARC Scholarship was established in November 2001, in memory of parent Mary Snieckus, who was a loving proponent of and active volunteer for performing arts programs in the district. This award is meant to recognize those students who have shown dedication, leadership and passion both on and off the stage. Benjamin Robert Zukoff (SHS 2010) was a student of quiet strength and kindness who made significant contributions to technical theater at SHS, not only through dedication to his craft, but also as a leader and role model to younger participants. Awarded to the student who best personifies the spirit and commitment of Ben, the SPARC Technical Theater Scholarship In Memory of Benjamin Robert Zukoff was created in his memory. Candidates are nominated by SHS technical directors based on the student(s) contribution to technical theater, their leadership and character in those roles. 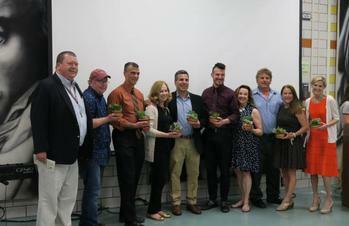 The SPARC Technical Theater Scholarship was awarded for the first time in the Spring of 2013.